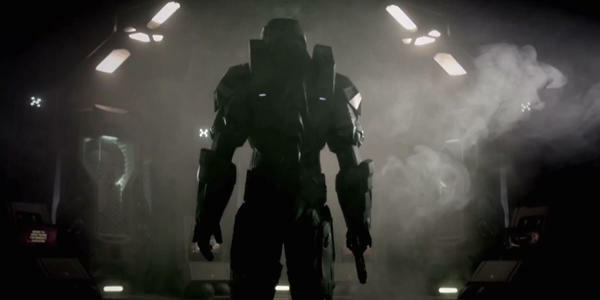 Live action Halo is all the rage right now, and its not a moment too soon considering Halo 4 is less than a month away. David Fincher’s live action Halo 4 trailer titled Scanned will be revealed on October 18th, and Machinima’s online series Forward Unto Dawn continues to dig away at the series’ back story. The first episode was released last week, and now the second episode continues the story of Cadet Michael “Sully” Sullivan during his sorties at the onset of humankind’s disastrous war with the Covanent. Again, the production values are top notch regarding the acting, props and effects, but I can’t quite distance myself from the difference between the stylized military sets and the plain bland forest used for the battle scenes. I could find that exact same forest in the hills behind my house, and I’m quite sure these guys thought along those lines as well. At any rate, the series is evolving nicely and definitely achieving its ultimate purpose, hyping gamers to be sucked into the Halo universe once again. Cheap and quality advertising for Microsoft and another loop for Machinima’s belt. Are you game? Halo 4 will be release exclusively for the Xbox 360 on November 6th.